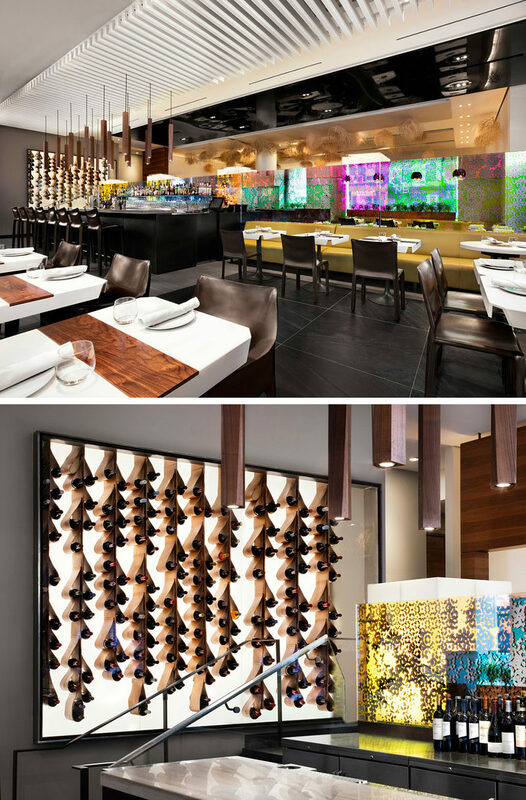 Interior design firm +tongtong has collaborated with Owner/Chef David Lee to renovate the interiors of Nota Bene, a restaurant in Toronto, Canada. 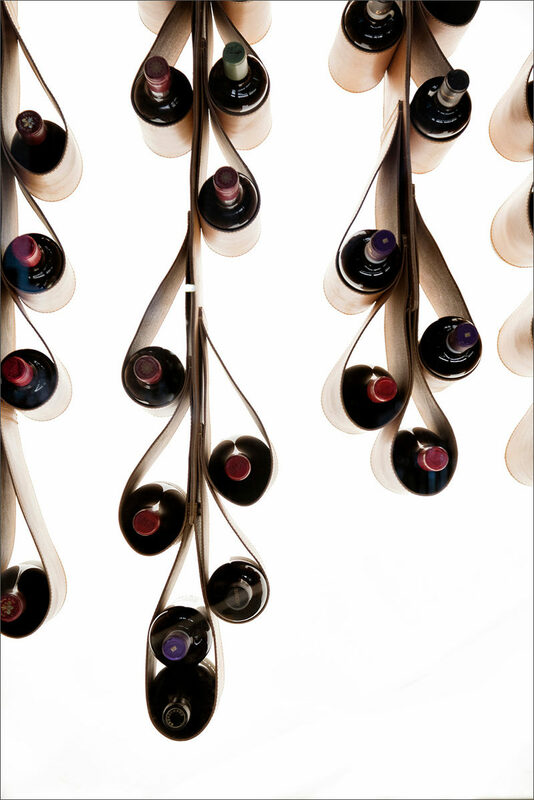 As part of the renovation, the designers came up with a unique custom designed wine display made from leather. 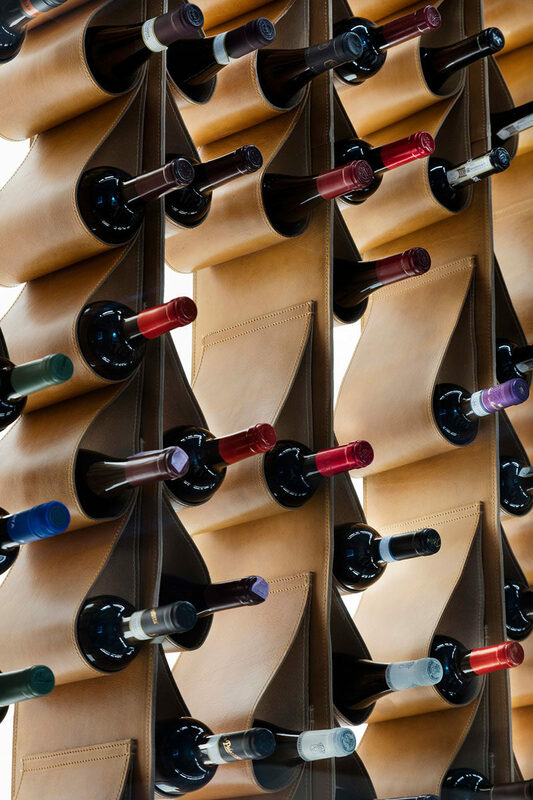 The wine wall is made from vegetable-tanned and oiled leather that has been sewn in a way that allows the wine to be cradled. 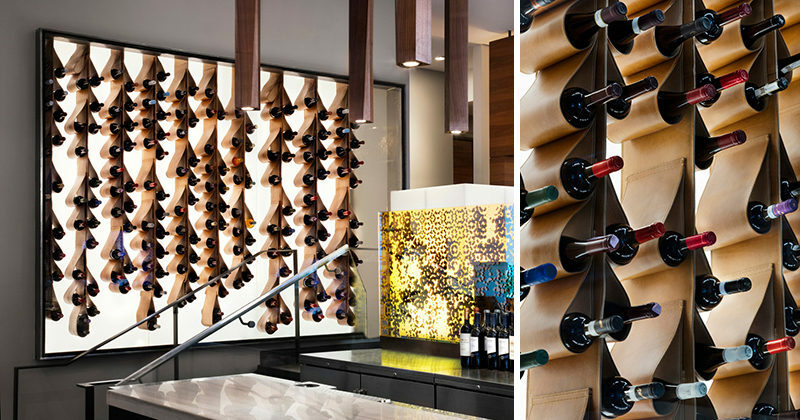 The back lit wine wall that sits behind a wall of glass, was designed to resemble the young buds clinging to grape vines, showcasing Chef Lee’s vast wine offerings.